Published August 15th, 2018, Winterleafe Press. In the ghost city of Arbor Florum, color is everything. A ghost’s color dictates its talents, motives, and loyalties. Color divides this society. Color poisons its soul. Though peace has persisted for more than a century, it’s a fragile venture, built upon a colossal lie. A world away in the American Midwest, Jordan struggles more than the usual twenty-something artist. He has a vision in his head that continues to haunt him: a woman’s eyes, striking and beautiful. They were put there by a ghost—a red one, no less. Hell-bent on finding this mystery woman, Jordan’s gone broke and gone mad. Standing at the precipice of a ruined life, he has to know he’s not crazy. He has to know she’s real. But when he finds her, he finds Arbor Florum…and the moment Jordan sets foot in the ghost city, they’ll never let him out alive. His arrival will strike a mortal blow to the lie that binds Arbor Florum. With a band of go-for-broke radicals as his only allies, Jordan will find himself at the epicenter of a civilization coming undone. Should the lie be exposed, the century of peace will fall with it. 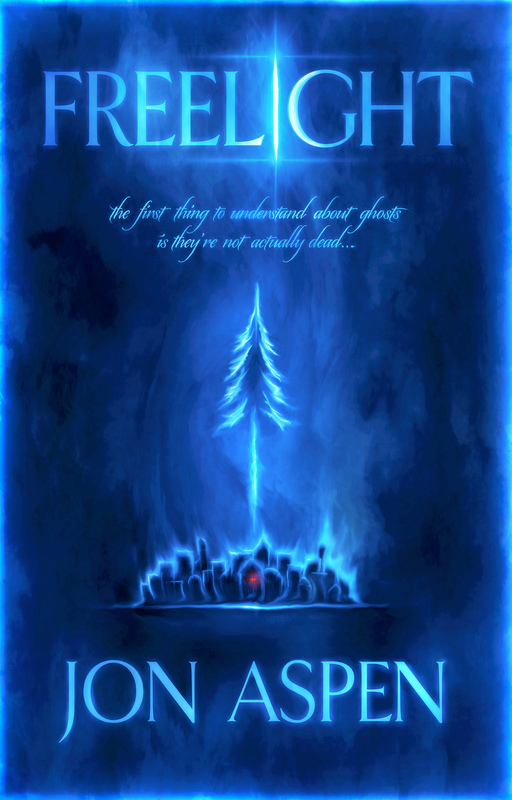 Freelight is a ghost story told on a Tolkienesque scale. An epic adventure with idealism, justice, and hope colliding at its heart. The concept of ghosts is reinvented and set in a world of deep, insular beauty.